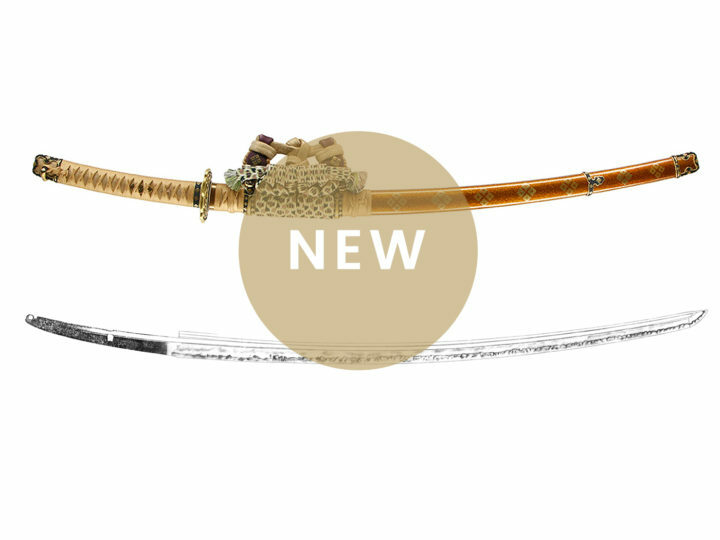 Nihonto.com is pleased to present the very fine Shinsakutô made by the well-known smith Yasutsugu. Yasutsugu was born in the Tsukubo district of Okayama in 1902. His family name was Sato Johei. He was a student of Kurihara Akihide. 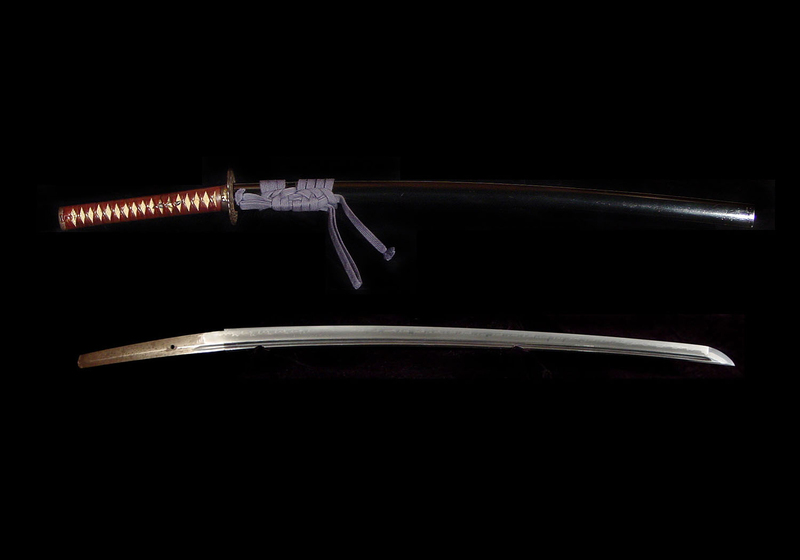 He was active making swords during World War Two and was an honored smith of the Kokko-In. He became a top smith who was recognized in contests held under the auspices of the Japanese Imperial Army. Yasutsugu died in Showa 39 (1964) at the age of 62. 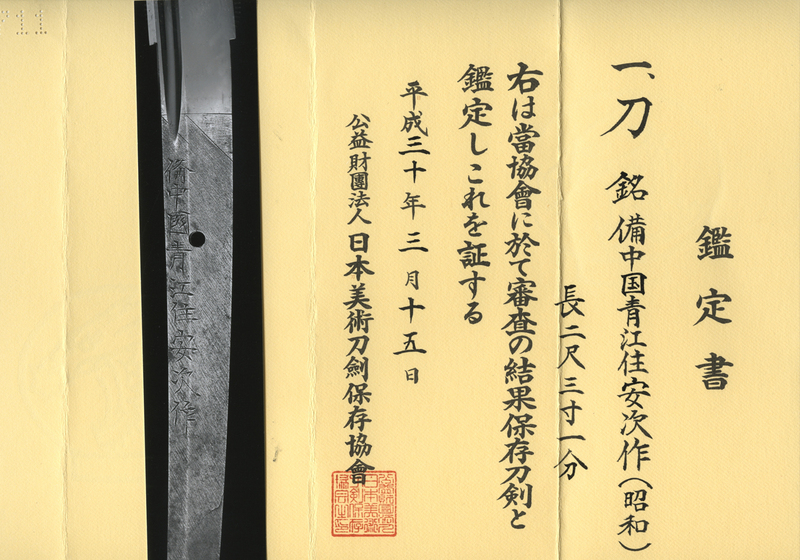 His preferred style of forging was in Bizen Den with saka chôji. 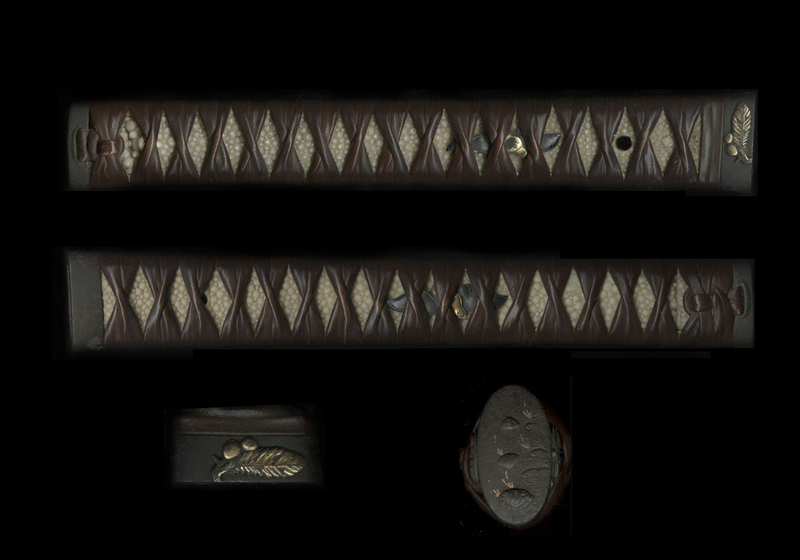 This sword is an excellent example of his work and is in beautiful condition. 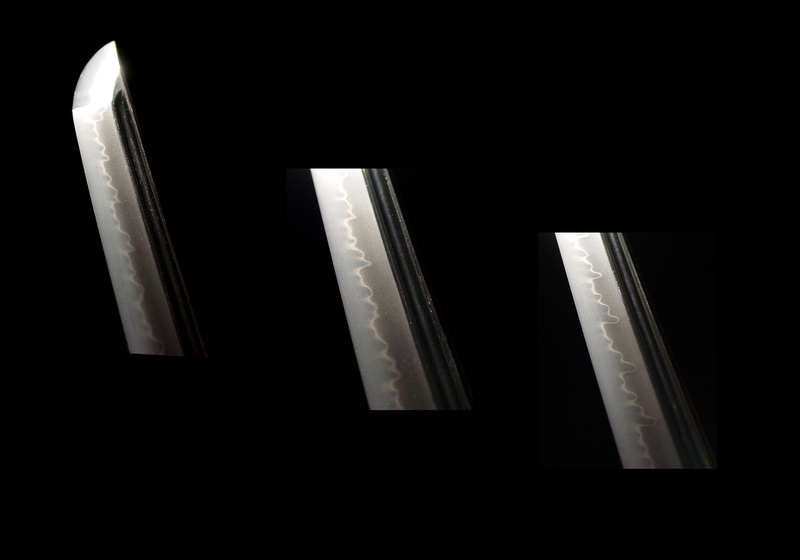 It was a little difficult to photograph because the polish is a sashikomi polish so the nioi and nie reflect the light and appear dark in some parts of the photos. 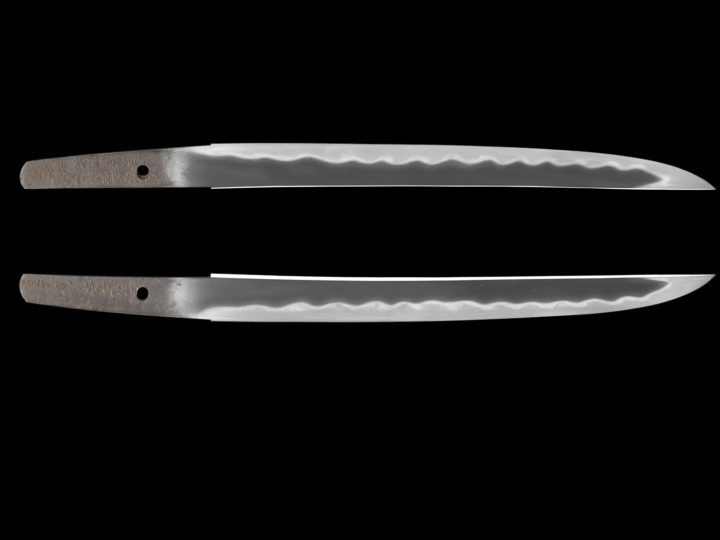 You will love it when you hold it in your hand and see the real beauty of this blade. This katana has a nagasa of just over 27.5 inches or 69.9 cm. 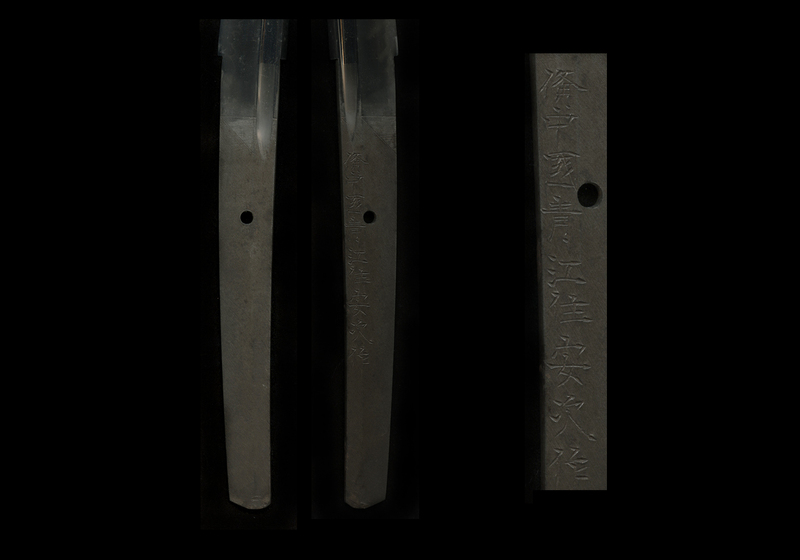 The moto-haba is 1.3 inches or 3.3 cm and he saki-haba is 0.9 inches or 2.3 cm. 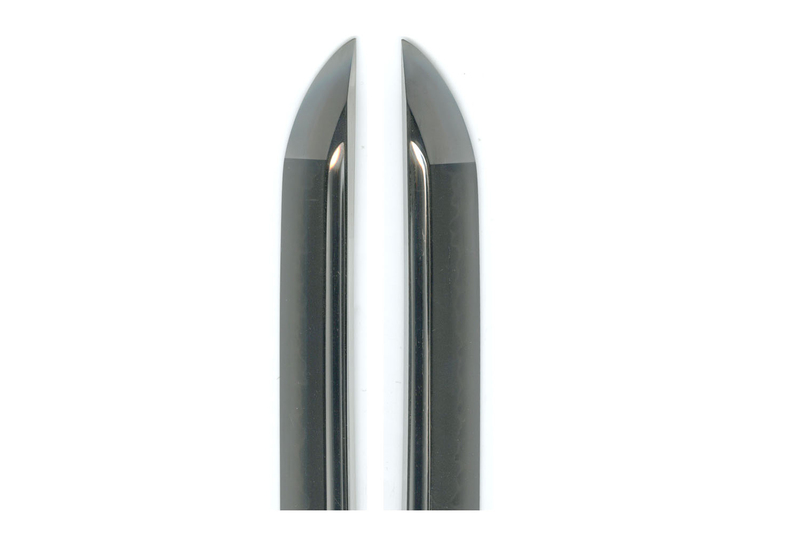 The thickness of the kasane is 0.37 inches or 0.9 cm. 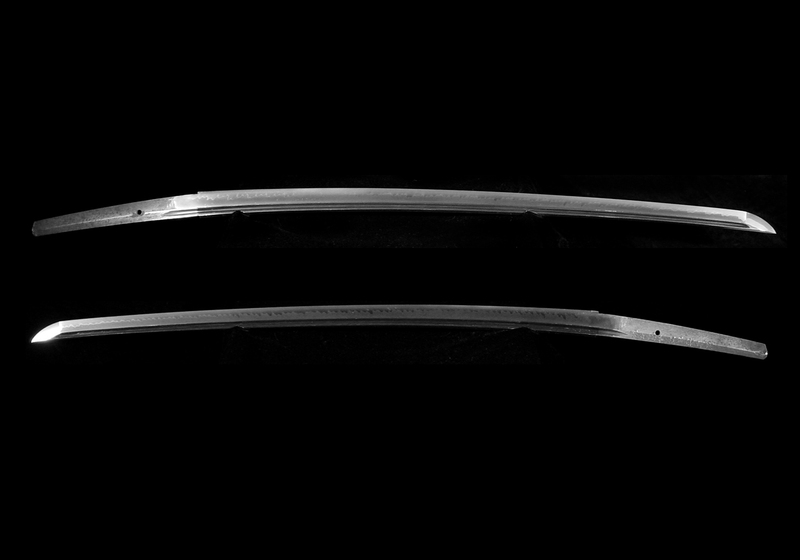 This is a wide and strong katana with a graceful koshi-zori of about 1.4 cm or 0.5 inches.. The hada is a very fine ko-itame. 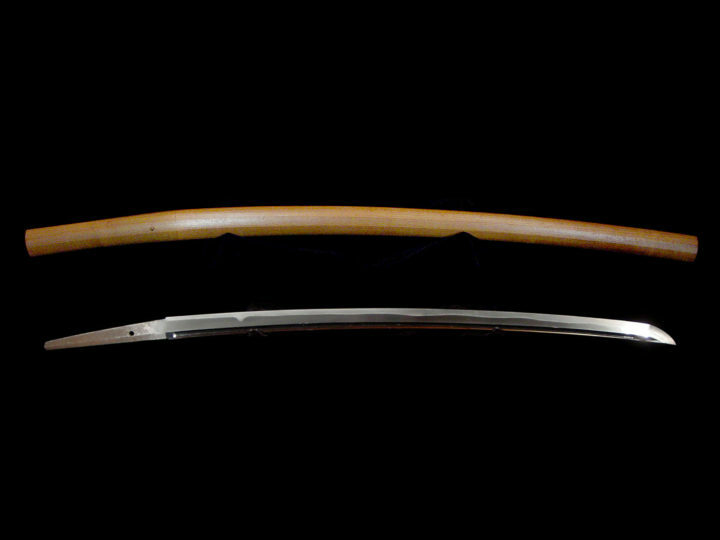 The hamon is a beautiful saka chôji in the best Bizen tradition. 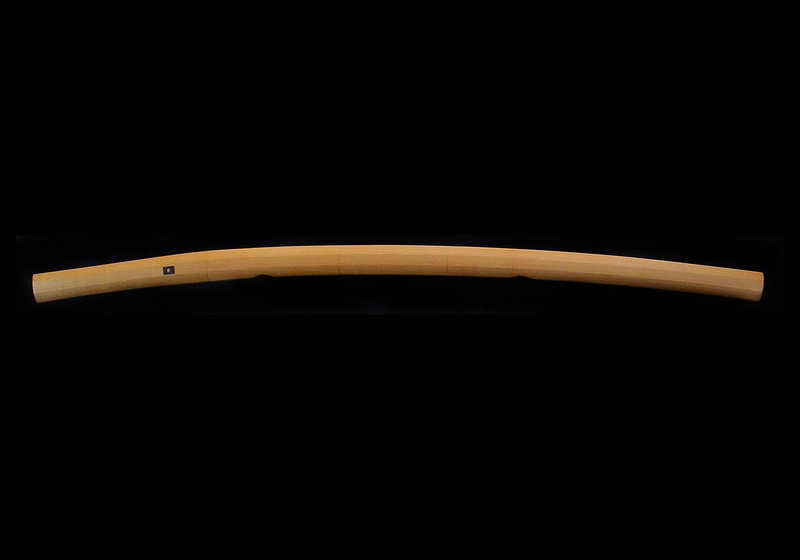 The bôshi is a peaked midare with almost no turn-back. 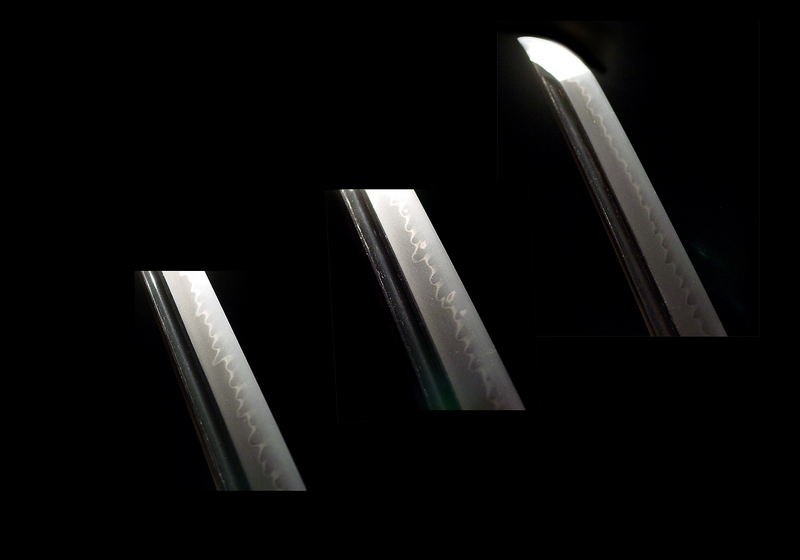 There are bo-hi carved on both sides of the blade. 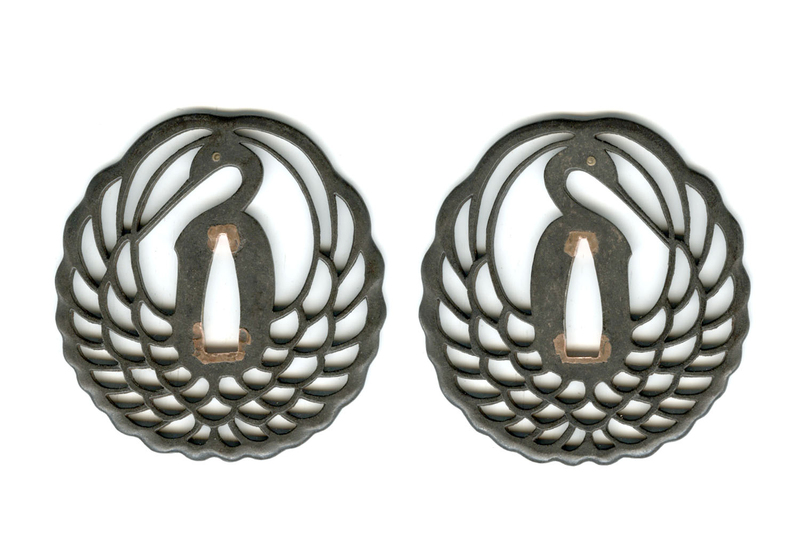 It is in excellent polish and comes with NBTHK Hozon papers attesting to its quality and the validity of the signature. 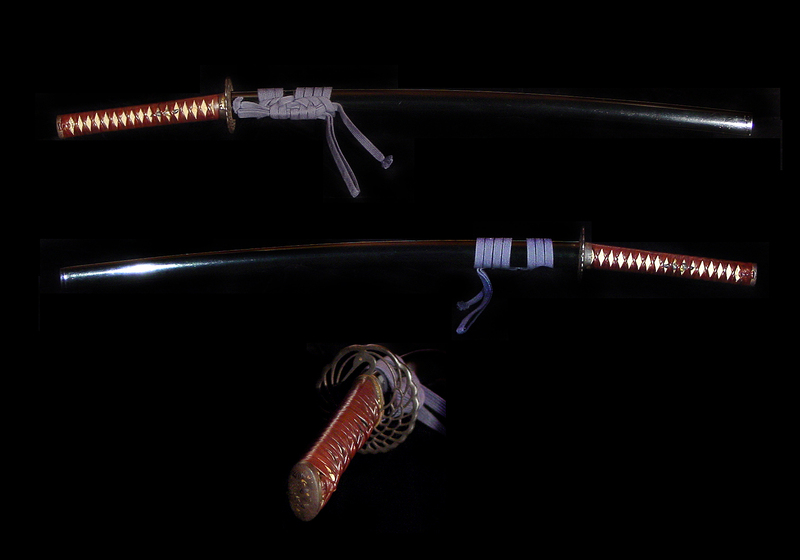 The blade comes in a shirasaya and is accompanied by a very nice set of koshirae as shown in the photos below.